Welcome to DiMora Custom Bikes! A motorcycle like no other, a DiMora Custom Bike fulfills its owners discriminating taste for excellence, innovation and achievement. 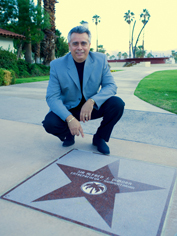 For over three decades, Alfred DiMora has stood at the pinnacle of automotive design and engineering, creating recognized brands of distinction. Since 1978, when his breakthrough unibody launched a new era in modern motorcycle design, until today, with the success of DiMora Customs, he continues to inspire by offering the finest in innovation and engineering. In 1976, working at Clenet Coachworks before acquiring the company, Alfred DiMora began handcrafting Clenet Roadsters, soon to be featured in Forbes magazine, declared "driven art" by Automotive Age, and called the "American Rolls-Royce" by Fortune. 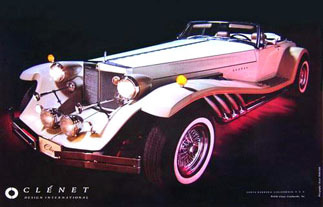 In 1978, his innovative Sceptre 6.6S won the Best-of-Show award at the Los Angeles Auto Show. When President Ronald Reagan declared 1986 the Centennial Year of the Gasoline-Powered Automobile, DiMora's Clenet was selected as the Official Centennial Car and lauded at the Automotive Hall of Fame. Today, DiMora Motorcar is developing the world's most technologically-advanced automobile, the $2 million V16 Natalia SLS 2 sport luxury sedan. Now, continuing the DiMora tradition of design excellence, engineering innovation, and quality craftsmanship, DiMora Custom Bikes is dedicated to building the finest and most exclusive limited production motorcycles in the world. DiMora creates the first ever one-piece fiberglass motorcycle body in 1978 called the "Unibody"
Cities and Regions Now Available! 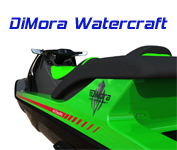 DiMora Custom Bikes is seeking qualified dealers to build the DiMora Brand around the world. Learn more about this exciting opportunity. Watch our online, exclusive video series. We want to make this the best motorcycle building experience in history - and we could use your help! Help us spread the word and our community grow!